Want a remote job? 18 Interview Questions You Need to Answer. 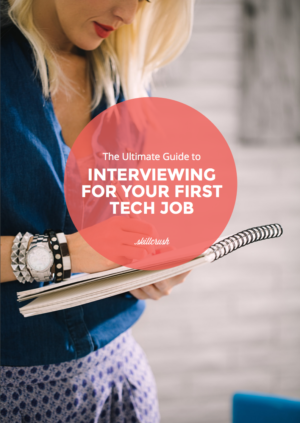 Learn how to successfully interview for your first tech job with our FREE, 48-page ebook. Do you remember the days when selling Avon, entering data into spreadsheets, and answering customer service calls were the only options for people who wanted to work without spending 40+ hours a week at the office? Well, those days are gone. Don’t get me wrong – jobs like those have done their part in making it possible for more of us to earn a living without driving to a traditional office every day. But these days, you can find a remote job in almost any field. In the last decade, remote work has exploded in popularity. With technologies like HipChat, Google Drive, and video chat making it so simple to connect and collaborate online, it’s totally feasible to land a lucrative, fulfilling career without selling your soul to the daily commute or sending your kids to daycare for 10 hours a day. And with remote workers (like Sondra and Jeremy Orozco on the oDesk blog) adopting titles like “digital nomad,” it’s clear that remote work doesn’t just mean clocking in from your home office. Remote workers travel the world, set their own hours, and rarely feel tied to a cubicle. Alright, so I’m guessing I’ve sold you on the life of the remote worker. But if you’ve been working in a more traditional job or you’ve been out of the workforce for several years, the prospect of landing a remote job might seem overwhelming. 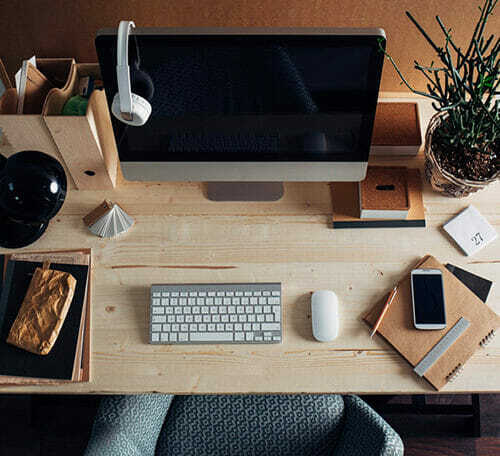 If you need some guidance on where to find remote job listings, check out this awesome post by Skillcrush’s own Leslie Zaikis: 25 Sites for Landing Remote Work. But it’s not just about applying for the job. Before every dream job, there’s a terrifying perfectly doable job interview. And interviews for remote jobs come with their own set of pitfalls. You’ll also have to field questions on how you’re going to handle the logistics of working outside the office, from working with your team members to managing your workload and communicating with your boss. I know, it can be overwhelming. But I’ve got you covered. 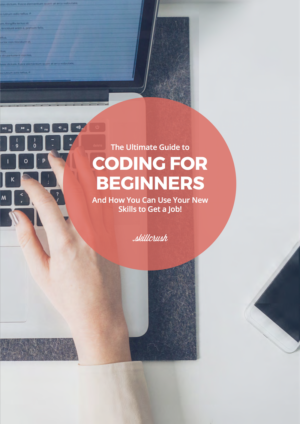 A FREE download to complete before you go into an interview for a remote job. Get in the remote mindset. A remote job is different from a traditional job in the office: You’re trading the conference room for the video hangout, the closed door for the “away” message, the quick conversation for the digital chat, and your fluorescent lights for…well, for any kind of lighting you want. And when you move away from your company, you gain freedom and control to plan your schedule and your work habits in a way that works for YOU. But you trade that freedom for more responsibility. Without your boss walking by and the office manager checking your timesheet, it’s up to YOU to get your work done. That means you need to be an absolute pro at managing your time, prioritizing tasks, and communicating with your boss and coworkers. In other words, if you’re a high achiever, you can be a high achiever anywhere. But being able to be smart about your job and get things done depends on an important factor – how well do you know yourself? How well do you know what you need to succeed? And it just so turns out that knowing yourself is ALSO the key to success in an interview for a remote job. To convince your future boss that you are cut out for remote work, you need to understand exactly WHAT habits and characteristics make you qualified. And I mean really understand yourself, from the way you keep track of deadlines to the way you prepare for meetings – the nitty gritty of how you work and what makes you most effective. And when it comes to being the “right fit” for a remote job, it’s not so much about measuring up as it is about knowing how to make yourself the most productive and fruitful version of yourself. And employers want to know because those are the questions that really determine how well you’ll do your job and fit into the team. In interviews for remote jobs, you’re FAR more likely to get questions about how you function on a daily basis than how big your dreams are. You’re more likely to be asked if you use Google Calendar than how you would describe yourself in 3 adjectives, and you probably won’t get asked a lot of hypotheticals. Employers want to know about the logistics because in a remote job, when you can’t waltz into a coworker’s office to sort something out, little things – like how you communicate problems – make a big difference. The takeaways? Sure, you’re going to have to show that you are smart and that you can do the job. But you’ll ALSO have to prove that you can handle (and excel in!) the conditions of a remote job, down to the little details. 1. How do you schedule your day? Here’s what this question is asking: When do you get focused and start working in earnest? What are the hours that you work optimally? Are you a night owl? A morning bird? 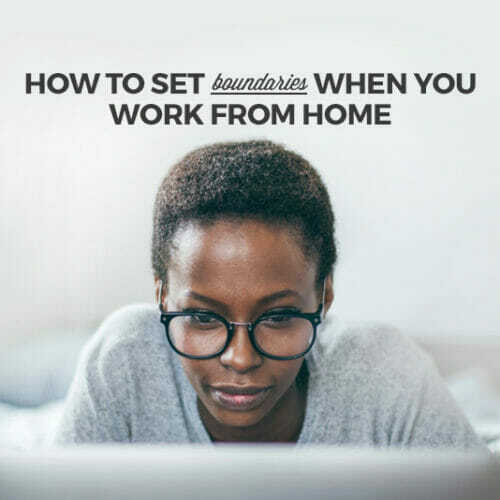 Remote teams can be made up of people working different shifts and all around the world so you won’t necessarily be stuck in the 9-to-5 if that’s not your thing. And remote jobs are often flexible as far as day-to-day routines are concerned. So you can also arrange your work in the way that’s best for you – as long as you get it all done. So, take an honest look at what your natural rhythm is and how you’re most productive before you answer this question. Kelli’s answer shows she knows when and how she’ll be the most productive, and that means dollar signs to the employer, who doesn’t want to waste time or money on remote workers who are inefficient. Plus, she shows a level of what I like to call “geographical sensitivity” for her teammates. In other words, she’s willing to be flexible and not schedule a meeting at 4:00 am New York time, even if it’s 11:00 am for her. 2. How do you use different communication tools in different situations? When you work on a remote team, there’s no chance to chat in the hall between meetings or catch up on the latest project during a shared ride to the office. So virtual communication will be absolutely fundamental to you getting your job done. And you’ll be using all kinds of tools to communicate – email, online chat, video hangouts, project management software, etc. By asking this question about the tools and situations, your interviewer wants to know if you are familiar with them and savvy about what to use when. Leslie’s answer shows that she gets how different communication platforms can serve her in different ways. Plus, it shows she knows what works best for collaborating with others. Setting deadlines in a chat that disappears? Not so much. Brainstorming on 50+ message email chain? No thank you. She knows how to use the tools that make remote work possible – and in the most efficient ways. 3. What does “working remotely” actually look like for you? A lot of people want remote work because of the flexibility it allows. You can work from anywhere and at any time of day. The boss wants to know: Are you going to be in a coworking space, your home office, a coffee shop, the library, a hotel room? It’s important because it determines how you’ll fit into the team. Do you spend time with the kids every day between 3 and 5? Or maybe you work from home and you’re pretty much “on call” throughout the day. Randle Browning, Director of Content at Skillcrush, says: “I used to think that I would LOVE being able to spend my days working from coffee shops. But after working remotely for several months, I realized that working from home makes me way more effective. At a coffee shop (or other public place), you don’t always have control over “break time.” Maybe someone takes your outlet, the WIFI goes out, or people keep starting conversations with you. At home, things come up, but it’s a lot easier to get in the zone and STAY in the zone. Now I head to coffee shops when I can sense a case of cabin fever coming on. Showing that I know when and where I work best is a good sign for an employer. It means I’m unlikely to end up having a panic attack in a coffee shop when the spotty WIFI dropped my webinar broadcast. It makes me scared even thinking about it! 4. What do you need in your physical workspace to be successful in your job? With this question, companies are both looking to see what equipment they might need to provide you with and checking on how aware you are about what working remotely might mean for you physically and logistically. But, as Fried goes on to say, wherever you work from, you need to make sure you have the essential basics. So, figure out what that is for you – A standing desk? A large monitor? Or maybe even an office in a coworking space? When bosses can’t see their employees, they have to be doubly aware of how they’re getting on. It’s easy to see if your employee is uncomfortable or ill if you can watch them hobble from their chair to the copier, but, if you’re communicating digitally, it’s not so simple. Sara shows she is covered when it comes to taking care of both her physical and mental health. 5. How do you process information?? Several years ago, I was working on a team to plan a big event. My supervisor had us all doing team building before the big day. One of our activities was to figure out how each of us processes information. We learned that some of us were “big picture” people – we could only finish tasks if we understood the whole project – while others only needed to know one thing: what’s due when? And that matters to a remote manager. If Sally can’t operate without all of the facts, but Shana gets majorly overwhelmed when you give her more than she needs to know to complete a task, it can quickly send the whole team into shambles. Knowing how you process information – what you need to know when and in what format – is incredibly valuable information. The way you process information, you can probably see, isn’t just valuable knowledge for your boss. Your coworkers will understand you (and why you keep asking them to see the data) if they know how you hold all the threads together in your head. 6. How do you handle your calendar and schedule? What apps/systems do you use? What goes on your calendar? Do you schedule blocks of time to do certain kinds of work? Do you have an open calendar everyone can see? Believe it or not, the logistics of how you organize your work life is CRUCIAL in a remote job. On the Skillcrush team, we love sharing our Google calendars so you kind of have to be on board with that. The same holds up with other companies and their preferred apps and platforms. Also, asking this question will reveal whether or not a candidate has put a lot of thought into organization, and in remote life, organization is a must. Caroline Griffin, Class Manager at Skillcrush, says: “The key for me has always been to have one calendar and then organize the heck out of it. For the last few years, I’ve used a handful of calendars inside of iCal. I have color-coded ones for errands, my day job, freelance work, as well as fun stuff, bills, etc. I like it mainly because of how fast and seamless the sync is between my laptop and phone. 7. How do you organize files, links, and tabs on your computer? Just like your systems for scheduling, the way you keep track of files and other information is really important. After all, it’s all digital! So, you can just drop virtual files on your coworker’s virtual desk if you need to share info with them. But the files need to be named and organized clearly so you’re not spreading “digital clutter” or losing track of data. Before you go into a remote job interview, you should have a system for: organizing and storing files, keeping track of links, and handling issues like tab city (it’s my term for the situation in which you have 35 tabs open and you keep adding more until your browser crashes). Caro says: “I keep everything in a local version of Dropbox… and I do mean everything. I love it because my backups are otherwise pretty irregular and this way I never have to worry about having the right version of a file. And I can access anything from my phone or a friends computer! I have a general “Projects” folder in there with subfolders for everything I’m currently working on as well as an Archive folder. When I finish a project, I just move its folder into the Archive. Then I always know exactly where something is when an old client comes calling. 8. How do you prioritize tasks? The day I watched Marie Forleo’s video on separating tasks into Important versus Urgent, my life changed. Not ALL remote jobs are at fast-paced startups, but a lot of them are. And, in that kind of working environment, it’s easy to get overwhelmed and feel like there is JUST too much to finish. That’s why it’s so important to be able to prioritize tasks. I kept staring at my to-do list thinking…ALL of these things need to happen. How can I prioritize? Marie says to classify your to-do list with “I” and “U” for important or urgent tasks and do the important ones first. You always finish urgent things on time anyway because they’re urgent! So, make the most of your brain power and use your energy on the important things. That ability to prioritize can make or break your success in a remote job, and employers need to know that you have an absolute handle on it. 9. How do you prepare for meetings and facilitate meetings? What do you make sure to do during a meeting? Just as communication is crucial when you work remotely, meetings are also huge. Because you won’t have those chance encounters in the elevator or informal conversations in the lunch room, you have to take full advantage of the limited time you do have during video or phone meetings with team members. And your future employer wants to know that you know how to do that. Always create an agenda. Without an agenda, meetings can go awry fast. Stay on time as much as possible. When you have two-hour long meetings, it can be easy to dread them! Do time checks with 15 minutes to go before the end of the meeting to stay on track and then 5 minutes to go to define next steps. And, if you want to really impress your future remote employer when you answer this question – and in your remote interview in general, don’t miss Leslie’s fantastic blog post “Tech Tips for a Stress-free Video Interview”. 10. How do you use technology throughout the day, in your job and for pleasure? This is a great question because it shows your comfort level with tech, which is so important for a remote worker because you simply have to use tech to work remotely. And it also shows some of your personality and outside interests, which is one way a company can gauge how you’ll fit into a team. For this answer, think about how technology is incorporated into your life and how you use it to make your life easier or better. That can be devices, apps, workflows, or even entertainment. So, mention your undying devotion to your MacBook Air or your obsession with podcast apps. Or explain how you keep on top of everything with a to-do list app, or how you keep your social media smooth as butter with IF and ThinkUp. Lizu, Designer at Skillcrush says: “When I have lots of work for many projects, I simply make notes in an app on my phone. Also we use an Excel sheet to track many hours we work on each projects, the location of the projects, comments, etc. Sometimes, I also get information about projects in Pivotal Tracker. And, to communicate with the team, I use Google+ Hangouts video and chat and Gmail. 11. How would you manage a project with a lot of steps and a lot of people? It might seem a bit vague and general, but the reason you might get asked a question like this is because your potential employer wants to get a handle on your management skills. When you’re a remote worker, you’ll have to organize and coordinate projects differently than you would in person, so bear that in mind when you reply to this. One of the biggest concerns of remote team leaders is trust. Your boss needs to KNOW that you can handle managing a project, from wrangling your teammates to meeting the deadline. Leslie shows that she has the tech chops AND the organization skills to be the leader of her own projects, so her boss won’t have to check on her 100 times a day to be sure she’s getting the work done. 12. How would you handle lack of face-to-face contact when you work remotely? Look, technology connects people and makes it possible to work on a team without ever seeing them IRL, but sometimes it requires some special finesse. Chat doesn’t always convey tone, and sometimes wires get crossed. Hiring managers want to see that you have a plan for how to untangle them when they do. The one and only Adda Birnir, Founder and CEO at Skillcrush, says: “Hop on a Google Hangout!! I find that there is a lot of inertia around getting on a video hangout, but really there is nothing that compares. I know it’s counterintuitive, but employers want to know that you are available and ready to do what it takes to communicate with your team, whether that means getting on an unexpected video call or brainstorming in a group chat. 13. How do you balance your work life and the rest of your life? Even with a great team behind you, you have to take care of your physical and mental health as a remote worker more than you would in a regular office gig. Like I said, it’s not easy for coworkers or bosses to notice the outward symptoms of problems. They don’t see you sitting at your computer until all hours or notice you dragging when you used to be full of energy. That means you have to take care of you! That includes getting enough rest and exercise, setting boundaries between your work life and your personal life, making sure you get the social contact you need, and remembering not to neglect your interests outside of work. Anyway… Do you know what remote team managers dread more than inefficiency? Employee burnout! The only thing worse than a worker dragging her heels is a worker who’s rocking in the corner in fear of opening her laptop. In Kelli’s answer, she’s showing the potential boss that she knows how to prioritize tasks, realizes her limits, and can decide when it’s actually MORE efficient to take a break than slog on. 14. What do you do when you sense a project is going to take longer than expected? As a remote worker, it’s easy to run into a problem and feel like you have to solve it on your own. And, because you’re not sitting in the same office as your team, you can get off schedule or overwhelmed without anyone else noticing. With this question, your future employer is hoping to see your strategies for proactively preventing this situation by letting your co-workers and even your boss know when you need help so that you don’t put yourself or your team at risk. And, speaking of solutions, instead of just letting your boss know that there’s a problem, why not offer a solution as well? So, before you inform her about your designer’s flu, get in touch with your other designer and see if she can step in. Or propose that you move another post up in the schedule so that this one can wait. Remember, one of the most important qualities of a remote worker is being able to take responsibility. Part of that is finding a solution, not JUST reporting the problem. 15. If you had a problem when the rest of your remote team was offline, how would you go about solving it? No matter how much planning you do in advance, or how organized your files are, or even how precisely the team followed the project plan, sometimes things go wrong. When things go awry on a remote team, that can often mean that you’re stuck making important decisions on your own. When an employer asks you this question, she wants to know if you have the resourcefulness and judgement to make independent decisions when you have to. 16. Why do you want to work remotely? Not everyone goes remote for the same reason. Some people are caregivers or stay-at-home moms. Others have health conditions that keep them out of the office. Still others might be geographically challenged (that’s me! ), as in, you live in a place that makes it geographically impossible to work in the job you want. Or maybe you just want to travel the world without quitting your full-time job. When you get this question, it’s easy to jump into all the reasons remote work is going to make YOUR life better. And you should definitely tell the boss what special life circumstances are keeping you out of the office. But you’ll really wow the hiring manager if you can tell not JUST why remote work is going to improve your life, but why you do your best work remotely. In other words, explain how working remotely makes you shine and makes you a smarter, more effective, and more efficient employee. Randle (c’est moi!) says: “I moved to back to Waco after graduate school because my husband and I opened a pizza restaurant here. But I quickly realized that all of my training and experience had set me up to work in a big city – I had cooked in professional kitchens, taught writing, and managed arts events. And I wanted to work in an exciting, fast-paced environment, and this town is pretty industrial. 17. What’s your biggest concern about working remotely? Knowing yourself means knowing areas you can improve. When your employer asks you about your biggest concerns, she wants to know two things: (1) are you aware of your weaknesses and prepared to watch out for them, and (2) how can she make sure not to put you in a lot of situations that prey on those weaknesses. And remember the central tenet of remote work: know thyself. 18. What is your most valuable asset when it comes to remote work? Ahh, the big finish! And it’s an interview classic: Your greatest strength. But, in the case of this question, there’s a remote twist. When you answer this, let the company know what remote working superpowers you’ll be wielding, or what amazing experience you have that will make you EXACTLY the person they need on their team. 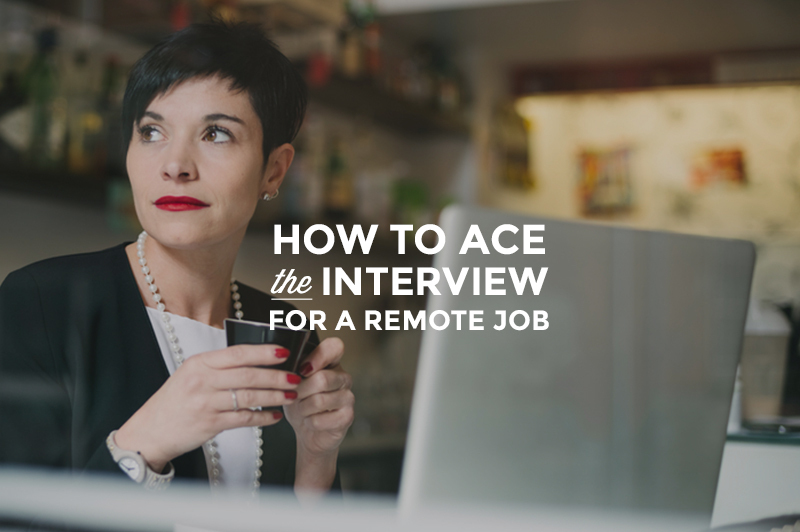 Whatever your secret remote weapon, working style, office set-up, or ideal daily schedule is, you’ll need to really think it through before your remote job interview. Practicing how you’ll respond is important when going for any job interview but especially so when it comes to remote work. 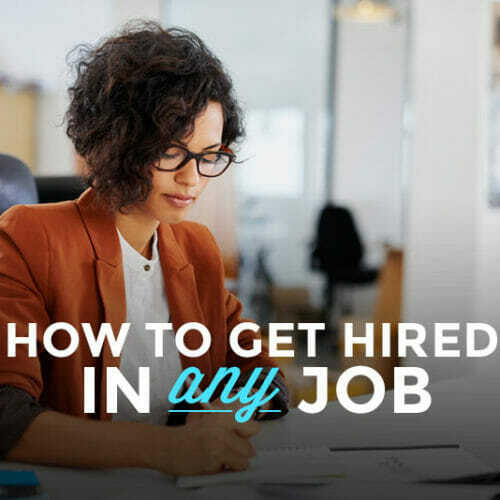 The logistics of the interview itself and the increased demands on you to be independent, extra communicative, and technically adept won’t leave you much time for beating around the bush. To make sure you’re on top of all these questions, download my FREE interview prep worksheet, where you can review what you might be asked and write out your own answers in detail. 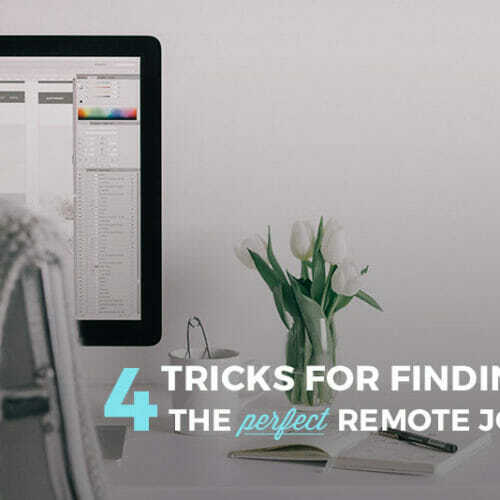 You’ll be ready for your remote job interview in no time at all, so you can get that remote job you’ve been dreaming of for so long.